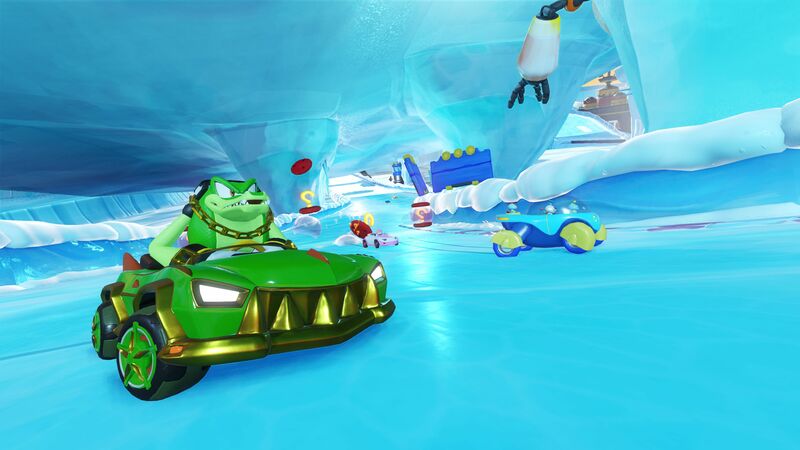 For a few months now, Sega has been ramping up its promotional efforts for Sumo Digital’s upcoming racer, Team Sonic Racing. Curiously, a lot of that promotion has revolved around the game’s soundtrack. From remixes coming to the game, to remixes that just seem to be for funsies, this content has been gradually rolled out on YouTube. But today, we got an extra peek at how the hedgehog sausage is actually made. In this video, we get to see shredding legend Jun Senoue and his Crush 40 pals (among others) doing what they do best in the recording studio. They go through several tracks, including “Frozen Junkyard,” “Market Street,” and “Green Light Ride.” That last one has vocals, but unfortunately we don’t see any footage of the singer in action. This video seems to be part one of a series, so you can expect to see more behind the scenes content if you pay attention to the Sonic the Hedgehog YouTube channel. This is happening at the same time Sega has started to release new remixes of the Sonic Mania Adventures soundtrack, which doesn’t seem to actually have anything to do with Team Sonic Racing directly. Of course, the channel has also released remixes that will be featured in the game, some of them featuring collaboration between the Japanese talent, and people involved with Sonic Mania and elsewhere in the Sonic fan community. Music has always been a big part of Sonic the Hedgehog as a series, and it’s interesting to see Sega lean so hard on that aspect on the road to Team Sonic Racing‘s launch. Which, by the way, is set for May 21, 2019.